Pre-wired relay socket for use with 12 VDC Bosch type four terminal relays. 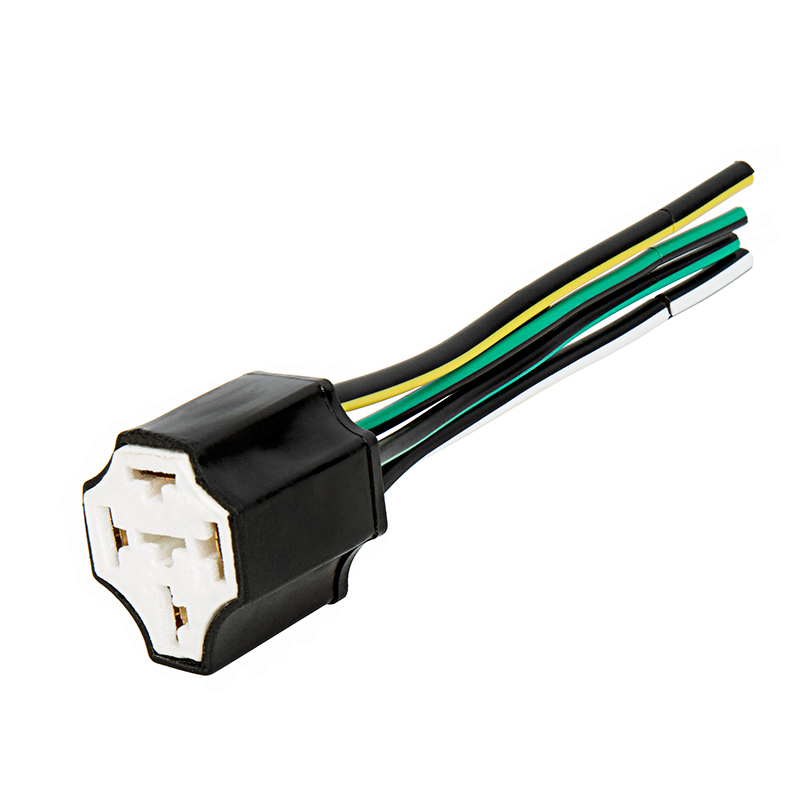 Four 5" 16 AWG power wires For all applications including door lock, light flasher, starter kill, remote start circuits, and much more. Nice item to have. Makes installation neat, easy to change relay in future if needed. This makes your work clean and professional.